Time for a new buyer/supplier paradigm? Funny how thoughts go – I was watching an interview with Oprah and the topic of #Metoo came up. As I was reminded of the behaviours the movement was fighting to eradicate, behaviours such as bullying, disrespect for others, pushing forward even when they’ve said no or the distress the actions are causing is visible, and blackmail (indirect or direct in terms of fear of losing the work/money if behaviours are challenged), I wondered whether business, and procurement were hearing the call for change too. Can I stand here and say I’ve never shown those behaviours to a supplier – no - however unintentionally and, I hope, however many many years ago. Can many Procurement departments say they’ve never done this - no. Can many organisations – no. You see - to me - bullying is bullying, blackmail is blackmail - the context in which is is taking place doesn’t alter its appropriateness and yet it seems that’s not a belief shared by everyone. “That’s just the way business is” is as prevalent a response to these behaviours today as I’m sure “that’s just the way Hollywood is” or “that’s just men being men for you” was years ago. That’s just the way business is when suppliers fear speaking up, or saying no to unacceptable requests for fear of the repercussions. That’s just the way business is when buyers assume because suppliers aren’t speaking up that they can keep doing what they're doing even though they know it's unacceptable behaviour. That's just the way business is when sourcing send a 100 page tender to 15 suppliers knowing who they want to give the business too. That’s the just way business is when Procurement ask suppliers at 1700 on a Friday for a response at 0900 on a Monday even though it's been on their desk for weeks. 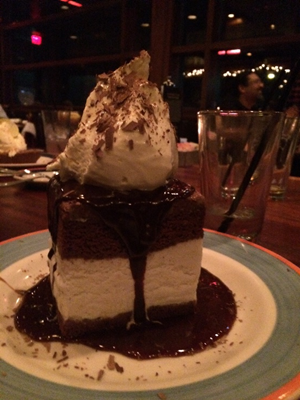 That’s just the way business is when ….. In January two years ago I invited us not to leave our humanity at the office door. Then life got in the way and, whilst walking the talk, I didn’t do as much as I could to challenge unacceptable behaviour. Perhaps #metoo has given me the confidence to once again return to this topic and to want to explore with buyers and suppliers alike how we move to a new paradigm for our relationship – one that doesn’t fall back on old stereotypes and abuses of power. Any thoughts on how to take this dialogue further much appreciated. Perhaps you’re already managing to avoid these behaviours in your organisation – and if so I’d love to hear from you. I’m certainly looking forward to an event being hosted at the Fire Starter festival on kindness in procurement which is a start. Although 4 years ago I was saddened to hear even kindness was thought to be counter to how business is! 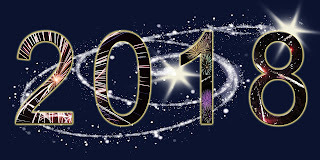 Happy New Year - even if it's a little belated. As January 2018 started much quieter than in previous years I wonder if I’d drained my blogging juices with a post a day in December 2017 introducing a range of tools I use in coaching, facilitation and problem solving? It was also a sign of a quieter blogging year here on Purchasing Coach with the publication of my book Can’t see the wood for the trees in August and all things landscaping Your Life (LYL) that accompanied that, and then the death of my father in October resulting in posts here not being as frequent as in previous years (see 2016 year in blogs). Nor perhaps as controversial as I’m starting 2019 blogs talking about changing the buyer/supplier paradigm (out on 21st). 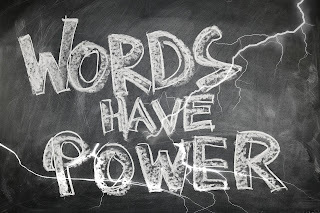 Interestingly I started the year with one of my favourite subjects ‘the power of words’. That is, the power for words we use to contain the kernel of a solution within them. 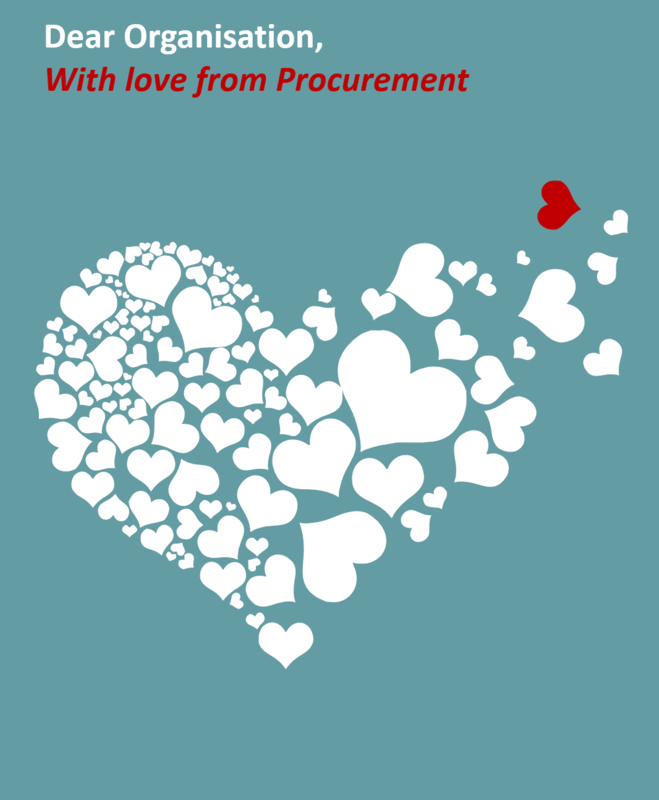 In February I wrote a love letter to organisations with love from procurement. A letter that outlined that procurement needs to get back to delivering real value and not just the cost savings they think that organisations want that actually diminishes the relationship between the two. That is, it could be a match made in heaven and yet often feels like a one night stand or friends with benefits! One element of the letter was expanded upon over on my Landscaping Your Life blog and touched on what happens when we've exhausted the low hanging fruit. In November my interview with Phil Ideson at The Art of Procurement aired – discussing all things procurement, soft skills and with a little Landscaping Your Life throw in for good measure. As I do every year on metal health awareness week I invited procurement to consider mental health in procurement within our own organisations and that of our suppliers. As ever, soft skills was a frequent topic in training and coaching sessions and an index of soft skills posts was posted for clients to dip into topics we’d discussed. The impact the roles we use to describe what we do has on the outcome we achieve, and the impact of simply changing the description can have. (Although wonder of this is really a words have power post :-)). 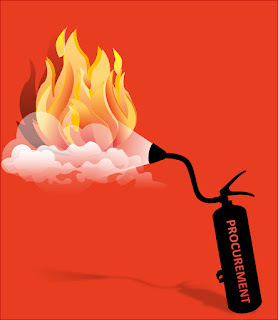 After all procurement isn't just all about fire fighting! As a coach I’m often asked about the benefits of coaching and also realise there’s some myths too that stop people considering coaching as a means of them achieving more in their personal and working lives. I wrote 2 posts to help shed more light on what to expect from a coaching relationship. Although if you’d rather not have a human as a coach my recently published book Can’t see the wood for the trees provides insight on how to have nature as your coach. The book uses a process (LYL) I first developed over 20 years ago to help managers understand why suppliers needed to be managed, and how it was the same as looking after your garden ie I discovered that gardening was a great metaphor for supplier management. The process then expanded to using landscapes as metaphors for our lives. You’ll find more about the LYL process using #landscapingyourlife on Instagram, Facebook, Twitter and YouTube. There's also in index of LYL highlights for 2018 including notes from a session on planning for success in 2019. Here's to a fabulous 2019. I can guarantee I'll be continuing to share here what excites, inspires and challenges me.